Virginia Woolf’s Mrs. Dalloway is one of the great classics of literature that still manages to fascinate readers. I propose that the subtle strength of observation and the creation of its characters contribute to the strength and provide the main point of interest in this novel. According to Abbott, “[o]ne truism about narrative is that it is a way we have of knowing ourselves” (123). Abbott emphasises characters, as well as action, as being among the principle components within narrative. He goes even further by arguing that “[…] it’s only through narrative that we know ourselves as active entities that operate through time” (123). This paper will examine in detail the creation of characters with reference to Mrs Dalloway. 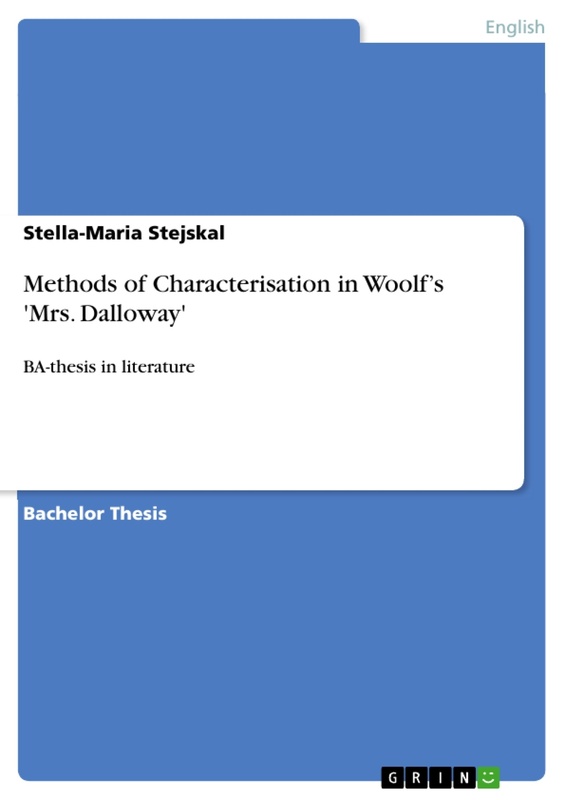 There are however many more methods of characterisation that elaborate on those three fundamentals and in this paper I will describe which methods Virginia Woolf uses to craft Mrs. Dalloway. I will begin with an overview of the stream-of-con­sciousness and free-indirect- discourse methods and then, by closely analysing the literary text, show how Woolf uses this technique as a mode of characterisation.  Memory as a technique of characterisation will then be discussed followed by an exa­mination of characterisation through perception and perspective. These two aspects however are strongly linked to, and can therefore be considered a subcate­gory of, the method of free-indirect-discourse. Particular attention will be given to showing how the perception of London serves Woolf as a tool for characteri­sation. Finally I will investigate the role of foil characters. Woolf may be described as a stream-of-consciousness novelist, from that point of view, since she frequently describes the private thoughts of her characters, and resists the use of objective descriptions and conventional dialogue (Drabble 995). There are however, at least two techniques for rendering this stream-of-consciousness: free-indirect-discourse (FID) and interior monologue. It appears that Woolf frequently uses the former but rarely the latter. The technique of FID aims to give readers the impression of being inside the mind of the character, which Abbot describes as an internal perspective that highlights both plot and motivation in the novel, and creates a feeling of connectedness, and especially of depth of the connections between characters (Abott 70-1). Virginia Woolf herself confirms this when she states her aims for Mrs. Dalloway (the novel’s working-title was The Hours). What exactly FID is and how Woolf made use of this technique within Mrs. Dalloway to “dig out beautiful caves” behind her characters shall be highlighted in the following section. It should be stated, however, that FID is not a mode on its own, but, especially with regard to focalization, is closely linked to other techniques such as perception and memory. Firstly however, the term FID warrants some discussion in more detail. Fludernik (110-6) looks at FID from the linguistic point of view. She sees in it a mode of speech and thought representation, which relies on syntactic, lexical and pragmatic features. On the syntactic level, passages of FID are constituted by non-subordination and (if applicable) temporal shifting in accordance with the basic tense of the report frame. Mezei (62-70), from the literary point of view, defines FID in segments and explains its controversial usage derived from its flexible nature. Mezei explains how FID provides the “[a]ppropriate space for interchange between author, narrator, character-focalizer, and reader” (Mezei 67). In general, FID means an indirect quotation of a character’s unvoiced thoughts through the third person narrator. Thus it is an aspect of focalization (the lens through which we see characters). The character's thoughts are reproduced directly and in a way that one would imagine the character to think, though the narrator continues to talk of the character in the third person. Since this is done freely, meaning without any quotation marks or similar indicators, it is called free- indirect-discourse (Abbott 70). As mentioned before, Woolf’s Mrs Dalloway is a good example for the frequent use of FID and the FID-technique draws a continuous line throughout the novel. However, the characteristics of indirect and direct speech are often mixed in such a way that it seems there is no speaker or narrator at all. This becomes especially evident within the first nine sentences of the novel. Mrs. Dalloway said she would buy the flowers herself. For Lucy had her work cut out for her. The doors would be taken off their hinges; Rumpelmayer’s men were coming. And then, thought Clarissa Dalloway, what a morning – fresh as if issued to children on a beach. These hotels are not consoling places. Far from it. Any number of people had hung up their hats on those pegs. Even the flies, if you thought of it, had settled on other people’s noses. However it does not seem possible here to confidently exclude the narrator from any intervention. The most striking example to illustrate this is arguably the last sentence: “And it was Clarissa’s letter that made him see all this.” This could be either an intervention of the narrator, explaining what has caused the line of thought that he had just developed, or it could refer to a realisation on his own part that this is the explanation of the direction of his recent thoughts. It seems that there is no way of separating precisely thoughts or statements made or thought by Peter to those attributed to the narrator. In summary it can be argued that Woolf, in Mrs. Dalloway, made it possible for the reader to enter the character’s mind through a frequent use of FID or as Mezei puts it, provides the “[a]ppropriate space for interchange between author, narrator, character-focalizer, and reader” (Mezei 67). To be able to examine the characters any further, the other aspects of FID, namely perception and remembrance have to be taken into account. In the following sections I will show how Woolf uses perception to show a character’s present structure and memory to give the background necessary to understand this present structure.